This past year was a very visible one for Deaf Culture and American Sign Language. From viral videos to late night TV appearances, mainstream audiences just couldn’t get enough of Deaf superstars or their fascinating visual language. As we leave 2014, let’s take a look back at some of the most memorable Deaf pop culture moments of this year, and hope that 2015 brings even more awareness! Okay, technically this happened in December 2013, but it’s so cute I couldn’t leave it out! 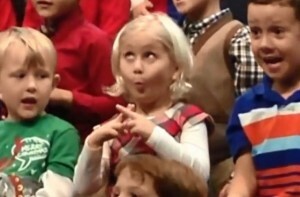 Kindergartener Claire Koch decided to use ASL at her school holiday concert to make sure her Deaf family members could enjoy the performance, and it was adorable. So adorable, that the video her mother posted went viral with over 8 million views to date! Each year, new technologies emerge which attempt to simplify and improve the lives of deaf individuals. A number of companies are working on different sign-to-speech translation solutions; while others are taking creative approaches to speech-to-text. 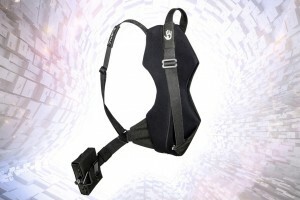 One of my favorite ideas of 2014 is the StudioFeed music backpack, which turns music into a full body experience. 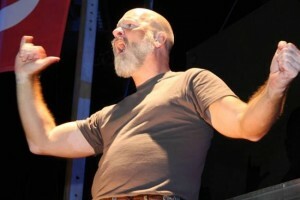 Deaf interpreter David Cowan is a known favorite among Deaf LBGT individuals for his expressive and appropriately flamboyant work each year at Atlanta PRIDE. Across the country, PRIDE festivals tout themselves as all-inclusive events. 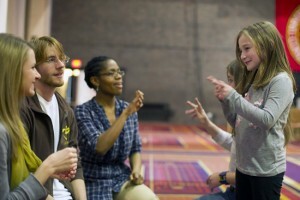 Hiring a Deaf Interpreter that deaf/HoH audiences adore is a beautiful example of equality. From mall Santas to baseball mascots— the people behind the characters have been doing their diversity homework! This year, there were a number of heartwarming stories and videos featuring deaf children who are overjoyed to discover that their favorite characters can communicate with them using ASL. Learning even a few simple phrases can help deaf kids feel included! It was pretty inspiring to see a children’s television network take a genuine interest in Deaf Culture. This Nick News special focused on the lives of several deaf young people across the country, and showcased how there are many different ways to be a deaf person in a hearing world. As Mayor Bill de Blasio delivered critical information to the citizens of New York regarding the Ebola virus, Deaf Interpreter Jonathan Lamberton addressed the deaf population. 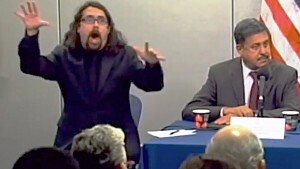 Many hearing individuals were fascinated by Lamberton’s dramatic signing style, as it was the first time they had ever seen a Deaf Interpreter in action. When creating characters for the FX series Fargo (based on the Coen brother’s film), the show’s creators decided to stray from the usual formula by writing a deaf character into the story. 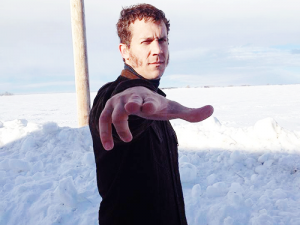 The character, played by actor Russell Harvard, is not included in the show to address deaf issues or explore Deaf culture; he is simply a normal character who happens to be deaf. Hopefully other programs will follow suit, as there are many talented deaf actors out there and all audiences deserve to see more diversity on screen! 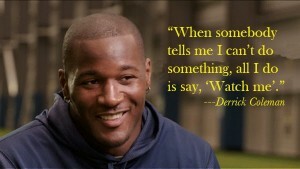 Seattle Seahawks player Derrick Coleman gained superstar status not only for his impressive athleticism, but because he proved that deafness does not have to be a barrier in professional sports. Coaches and scouts have taken note, and are now offering more deaf athletes the opportunities they deserve. Legendary Phyllis Frelich was the inspiration for, and the original star of, “Children of a Lesser God,” a revolutionary piece which introduced audiences to a complex, nuanced deaf character in a lead role. It won a Tony award for best play, and was later adapted into a film which won Marlee Matlin an Oscar. Frelich passed away this year, but her groundbreaking work has inspired and paved the way for generations of deaf performers to come. In 2014, we also lost professor, writer, and poet Robert Panara. Panara helped translate classic works of literature into ASL, and was instrumental in the establishment of deaf studies higher education curriculum. The tragic and deplorable treatment of deaf/HoH individuals by the criminal justice system is finally being exposed, thanks to the information age. 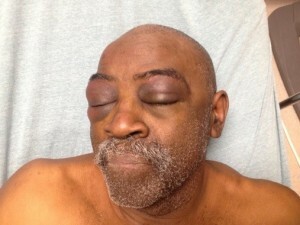 Stories about deaf people being beaten by cops, wrongfully convicted, and abused in jail were widely read and shared across the internet; leading to an increase in awareness and outrage. While this is not exactly a victory, and certainly not cause for celebration, it has provided visibility to a very real problem and strengthened advocacy efforts. To help deaf citizens better understand and protect their legal rights, award-winning Deaf actress Marlee Matlin teamed up with the American Civil Liberties Union and Helping Educate to Advance the Rights of the Deaf to create a series of videos. The videos represent a larger movement within the Deaf community for self-empowerment through education. The internet amplifies the power of minority voices, exposes injustice, and provides resources for assertive self advocacy! 9. 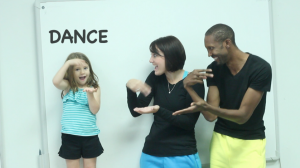 Professional Dancer and His Deaf Mother Prove Music is for EVERYONE! Mark Villaver, a hearing dancer, and his Deaf mother share their love of music and dancing in one of the most FUN videos of 2014! Some people mistakenly think deaf people can’t enjoy music. This couldn’t be further from the truth! The internet has come to the forefront of the entertainment industry. Unfortunately, closed captioning was often neglected when providers made the technology leap; leaving deaf individuals without online access to programming. In 2014 deadlines were set which require providers to caption all shows and video clips, and guidelines were established to guarantee the quality of captions. Over the next few years, we will see all major video content providers moving toward accessibility. Additionally, airlines and other places of public accommodation are feeling increased pressure to provide equal access for deaf patrons. After a lengthy court battle, it was determined that devoted deaf med students have the same right to attend medical school as hearing students. We call this a 2014 victory. 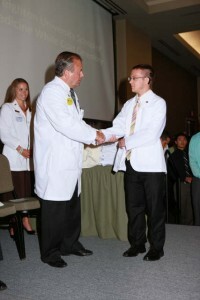 Hopefully this will lead to more hardworking deaf young people pursuing careers in the medical field. The film, which is all sign language without subtitles, was critically acclaimed at Cannes and has won a number of prestigious awards. The lack of captions serves to alienate hearing viewers– who are accustomed to the privilege of communication access– yet the film is engaging enough to keep all audiences along for the ride. This fun concept for a restaurant creates a comfortable place for deaf diners; provides jobs for deaf food industry workers; and helps hearing people get a “taste” of what it’s like to be on the other side of the language barrier. 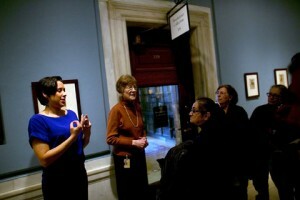 The success of this endeavor may open the door for future deaf-focused businesses. 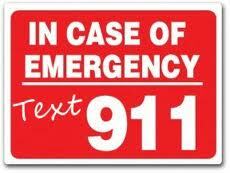 On August 8, 2014 the FCC adopted an order requiring wireless carriers and other text messaging providers to deliver emergency texts to 911 call centers. Equal access to emergency services was long overdue! This video instantly went viral because both deaf and hearing audiences love watching expressive ASL paired with hip hop beats. Sign language lends itself so well to the poetry and rhythm of raps. The two incredible interpreters skillfully turned spoken word into visual language, and Deaf performer Jo Rose Benfield wowed people with her enthusiastic interpretations. Throughout pop culture history, superheroes have struggled against the odds to save the day. Until recently, however, superheroes have been notoriously privileged individuals— white and able-bodied— with very few deviations from the norm. 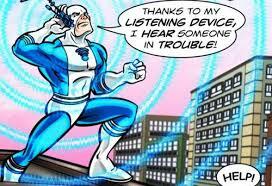 In 2014, we saw diversity creeping into the fantasy world of good and evil when audiences were introduced to Deaf superheroes like Blue Ear and Superdeafy. These fictional heroes provide real life role models for Deaf children, demonstrating that deafness is only a minor obstacle to overcome on the way to greatness. 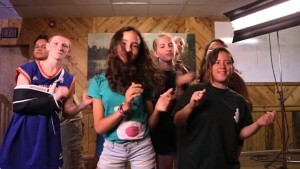 If you haven’t seen this amazing upbeat video online, you must be living under a rock! Camp Mark Seven Deaf Film Camp nearly broke the internet with their cheerful ASL rendition of Pharrell Williams smash hit “Happy.” Camp Mark Seven teaches young deaf filmmakers how to write, direct, and produce their own films; which helps integrate more deaf voices in pop culture and Hollywood. The video has millions of views online and made people all across America stop and smile. Haven’t seen it?Well what are you waiting for… Get Happy ! 2014 was an impressive year for deafness in the media, and these are only a few of the many pop culture moments! Of course we still have a long way to go, but when Deaf Culture becomes more visible, Deaf issues start getting the attention they deserve. By amplifying the voices of the community, and highlighting the accomplishments of deaf individuals, we can help the world see that deafness is not a barrier– merely a small obstacle on the way to greatness! If you are interested in learning about Deaf culture and American Sign Language, I have extended a special deal on ASL training. 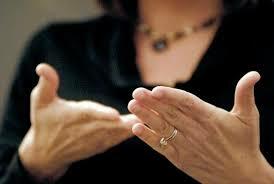 From now until JANUARY 7, schedule 3 personal ASL lessons for only $150. Learn on your own time, at your own convenience. We can meet in person in NYC or via video chat. No matter what level your skills are, from beginner to fluency, we can work together to discover the beautiful silent world of ASL! 1.) 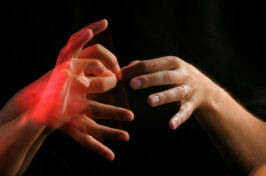 DO: Research how to interact with a Deaf person; with and without an interpreter. DON’T: Come to the meeting without any knowledge about deafness or Deaf communication. 2.) DO: Provide the interpreter as much information as possible, as far in advance as possible. This helps the interpreter be prepared and alert you to any potential ethical conflicts. DON’T: Leave out important details about the assignment. 3.) DO: Use the interpreter to engage deaf individuals in conversation. 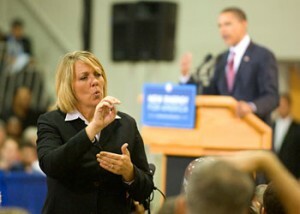 Remember– interpreters are there to facilitate a deaf/hearing interaction. DON’T: Talk to the interpreter like the deaf person isn’t there. 3.) DO: Address the deaf person directly, using singular phrases. This is the person you are having a conversation with. DON’T: Talk to the deaf person in the third person. The interpreter is interpreting exactly what you say. Saying “tell him/her…” just confuses the message. 5.) DO: Ask the deaf person to explain how the interpreting process works. DON’T: Ask the interpreter about their job. 6.) DO: Talk directly to the deaf person and make respectful eye contact. DON’T: Stare at the interpreter while having a conversation with a deaf person. 7.) DO: Ask the deaf person how to sign something if you are curious. 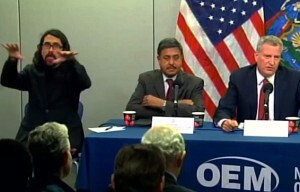 DON’T: Say obscene things to watch how the interpreter signs it. 8.) DO: Make sure your message is clear so the interpreter can communicate it. DON’T: Speak to the deaf person like they are uneducated. 9.) 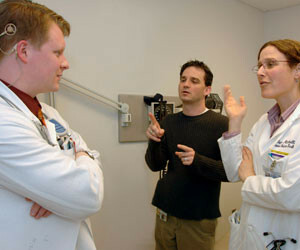 DO: Be friendly to the interpreter, and utilize his/her professional services to speak with the deaf individual. DON’T: Try to befriend the interpreter. 10.) DO: Plan for the interpreter to sit or stand near the person who will be speaking the most. DON’T: Try to sit the interpreter next to the deaf individual, or put the interpreter behind other people. 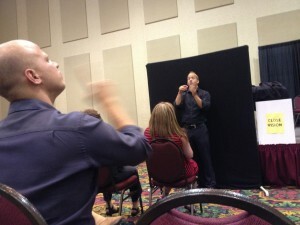 Deaf people need to actually see everything the interpreter does. 11.) DO: Speak as clearly as possible. DON’T: Mumble, shout, or over-enunciate words thinking this will help the interpreter. 12.) DO: Ask the deaf person to explain something if you do not understand it. DON’T: Ask the interpreter to explain what the deaf person means, cutting the deaf person out of the conversation. 13.) DO: Use sign language if you know ASL and it is appropriate. DON’T: Start signing the alphabet, finger spelling, or signing random words when the interpreter is right there to facilitate communication. 14.) DO: Feel confident using an interpreter for private conversations. 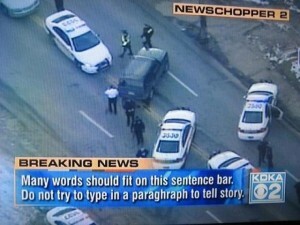 DON’T: Worry that the interpreter can not be trusted. RID Certified interpreters are held to a professional code of conduct, which emphasizes ethics and client confidentiality. 15.) DO: Understand that although ASL interpreters aim to provide objective interpretations, they are Deaf culture allies and will advocate for the deaf client as needed. DON’T: Ask interpreters for their personal opinions, ask them not to interpret something you said, or expect the interpreter to overlook any acts they view as oppressive toward the deaf consumer. 16.) DO: Be present and pay attention to the deaf person with whom you are communicating. DON’T: Look at other people, at your phone, or out the window during conversation. 17.) DO: Hire a professional, competent interpreter who has the appropriate credentials and background to facilitate effective communication. 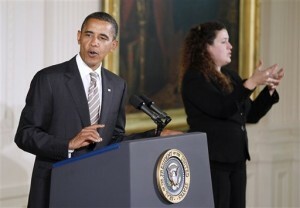 Look for Deaf or sign language interpreter owned agencies that specialize in deaf communication. DON’T: Hire any interpreter you can find without doing any research on the agency that they work for. 18.) DO: Take an interest in Deaf culture and deafness. 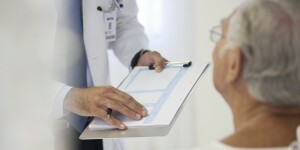 There is a wealth of information available on this topic– read some of the many books or articles that are available. DON’T: Simply expect deaf people or sign language interpreters will take time out of their busy day to provide basic cultural education. 20.) DO: Learn what types of situations ASL interpreters are required for, and how to hire a high quality interpreter. 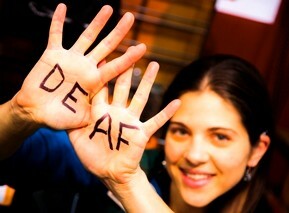 DON’T: Deny deaf people equal access to communication in your business, organization, or establishment. 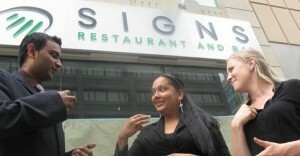 If you are seeking a professional sign language interpreter in the New York City area, contact LCIS for a consultation. Coming from three generations of Deaf family members, I understand the true value of a culturally competent interpreter. My services emphasize the satisfaction of deaf consumers, and bridging the communication gap between the deaf and hearing worlds. The pediatrician just informed you that your child is profoundly deaf. How does deafness impact a person’s life? What will you do now? Your answers to these questions will depend on personal experience. If you have connections to Deaf culture, you may feel very differently than someone who has never had interacted with a deaf person. Though we live in the Information Age, mainstream society still understands very little about what it means to be deaf. 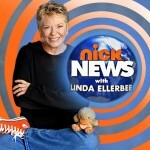 This week, Nick News with Linda Ellerbee premiered an episode titled “Now Hear This!” (watch the full episode HERE ) The show does a great job exploring the spectrum of deafness, and demystifying the deaf experience by telling the stories of 5 deaf young people. The children’s’ experiences are vastly diverse, and touch on a number of issues from deaf education methods to family dynamics. 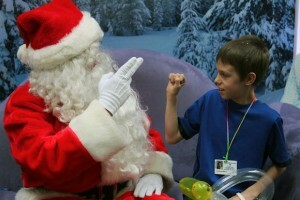 The overall message is that, like any of us, deaf children have individual needs. Despite what some may claim, there is no one-size-fits-all strategy for being deaf! S ome families choose to assimilate their child to a hearing lifestyle by implanting a device called a cochlear implant into the skull, which stimulates the auditory nerve and allow the brain to “hear.” Sammy is a CI recipient from a hearing family who jokingly refers to herself as “part robot.” She was not born deaf, but her hearing deteriorated throughout childhood and, at 12 years old, she made the choice to have CI surgery. According to Sammy, her parents presented the pros and cons, and she strongly feels a CI was the right choice for her. She attends school with all other hearing students and plays on a basketball team, insisting she doesn’t need to know ASL because she can hear. Cici also comes from a hearing family, she lost her hearing as a baby. Her parents elected to send her to a school for deaf children that focuses on teaching English and oral communication, so she never learned any ASL. At 5 years old she received her CI. “It was hard to learn to speak,” she says, but she feels very grateful that she did because it allows her to communicate with her family and non-deaf friends. Cici is a ballet and tap dancer who feels that deafness is a disability that her CI and hearing aid help her overcome. Although the first instinct of a hearing parent might be to “fix” their “disabled” child through technology, they should first explore the many perspectives about deafness. Yes, cochlear implants and hearing aids work great for some people, but every person is different and everyone learns differently. In the show, CiCi says she loves her CI, but acknowledges how difficult it was to learn spoken English. Imagine having dyslexia– or any common learning disability– and being forced to learn a challenging foreign language. Though Cochlear Implants or oral English education do work for many, it’s unfair to assume that all deaf children have the same capabilities. 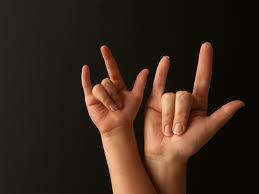 Other families choose American Sign Language for their deaf child. Isabella was born deaf and grew up in an all-ASL family, with two deaf parents and one hearing sister. She discusses education at her Deaf school, playing soccer on a hearing team, and having fierce Deaf pride! Isabella does not view deafness as a disability in any way, and she loves the language of her family. Arbab is a young man from a hearing family, who became deaf as an infant. In Pakistan, he would not have had educational opportunities, so his family immigrated to the US to ensure a better life. Arbab’s family does not use ASL and he does feel isolated from them, but he absolutely loves attending Deaf school where he signs freely with his peers. 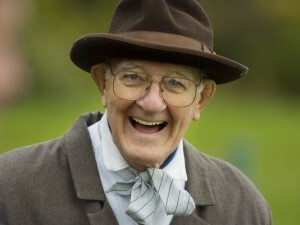 He uses technology, such as texting or video chat, to contact his friends when he is feeling lonely. Kaylee is the only deaf person in her entire town but, when she was in preschool, school administrators decided to add ASL to the curriculum for her whole class. The hearing kids all learned sign language, and use it throughout the school day to make sure Kaylee feels included. “My hearing friends sign to me, they are very fluent,” she says, “when my hearing friends don’t sign to me, then I feel alone.” She and her hearing friends love ASL and have made it their goal to spread Deaf awareness by volunteering to teach ASL to children. As a parent, it is your responsibility to become educated about your child; to engage and develop a relationship with them. Learn about deafness, and Deaf culture. Discover all the options available before making any major life decisions. Deaf children, like hearing children, have limitations, and areas where they excel. Instead of dictating how young deaf people should live their lives, parents can work together with their child to find the most comfortable way of adapting. This solution may not always be what the parent initially expected, and that’s ok! Holding on to strict expectations for any child– deaf or hearing– is unfair. Every person and their circumstances are unique!